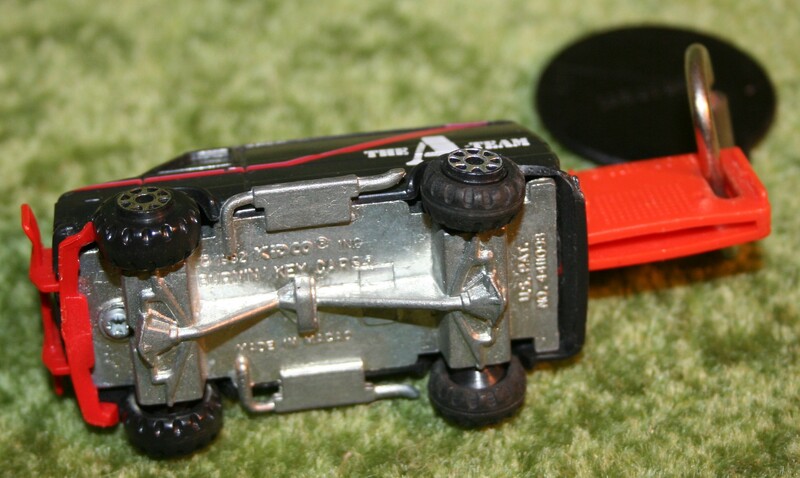 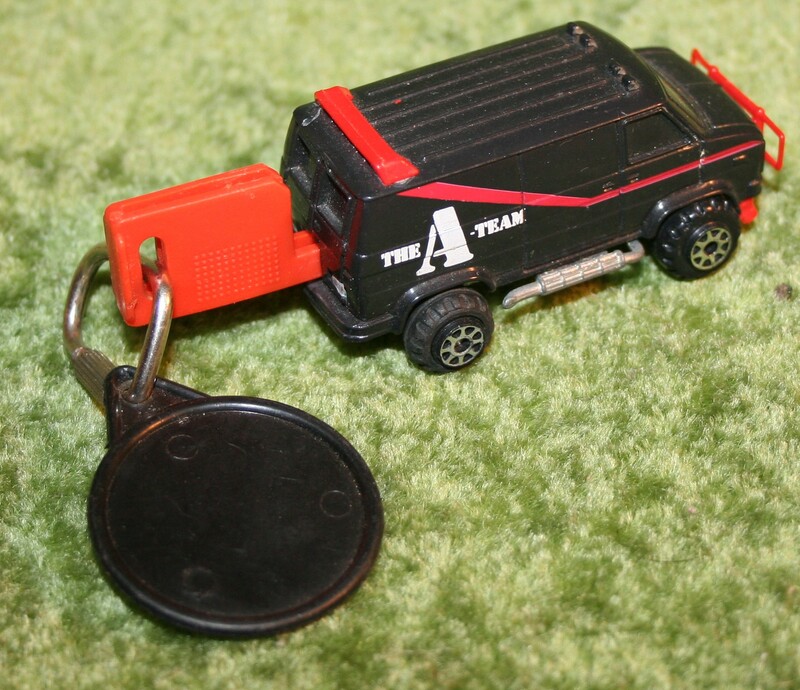 Car complete with key. 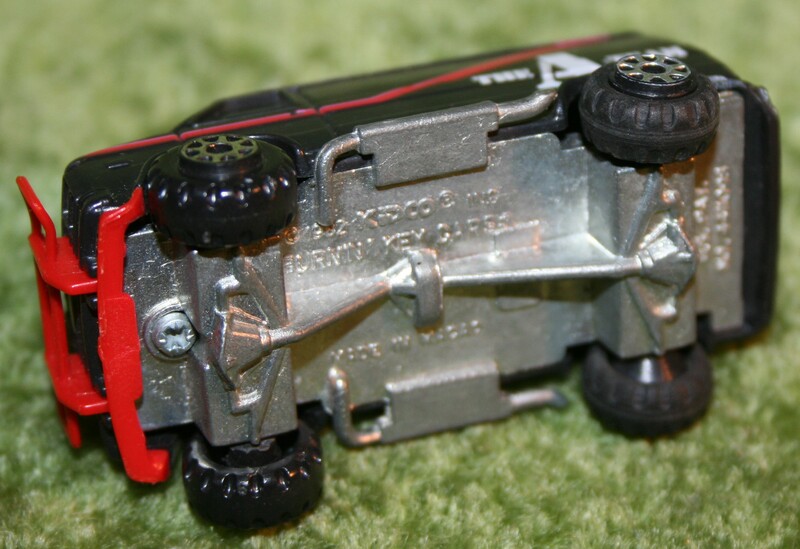 Sprung key that propelled car forward. 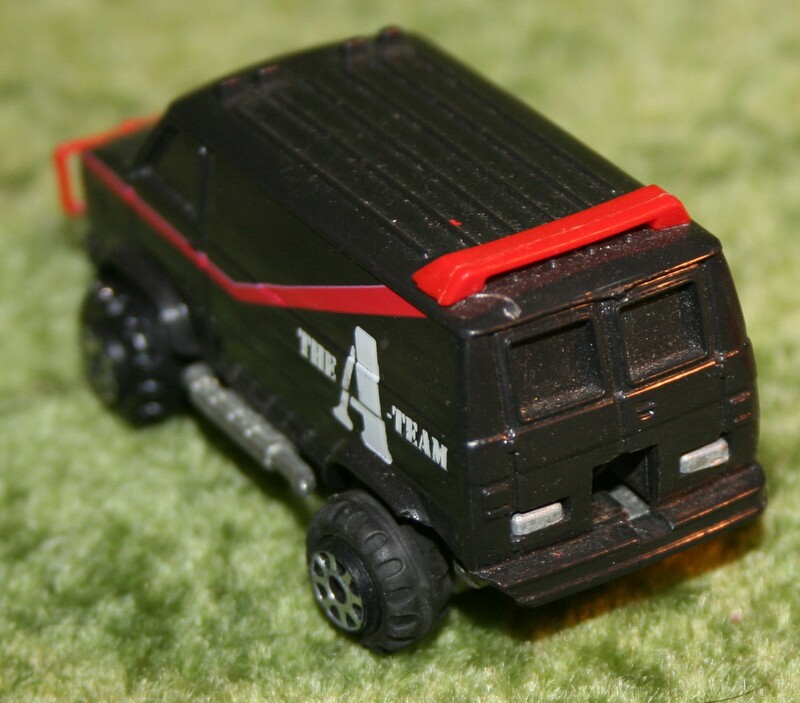 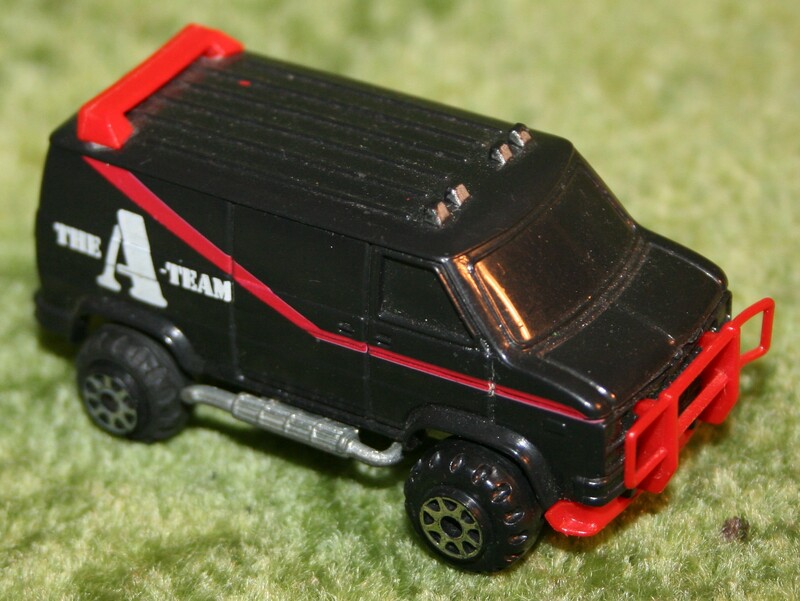 The A-Team is an American action-adventure television series, running from 1983 to 1987, about a fictional group of ex–United States Army Special Forces personnel who work as soldiers of fortune, while on the run from the Army after being branded as war criminals for a “crime they didn’t commit”. 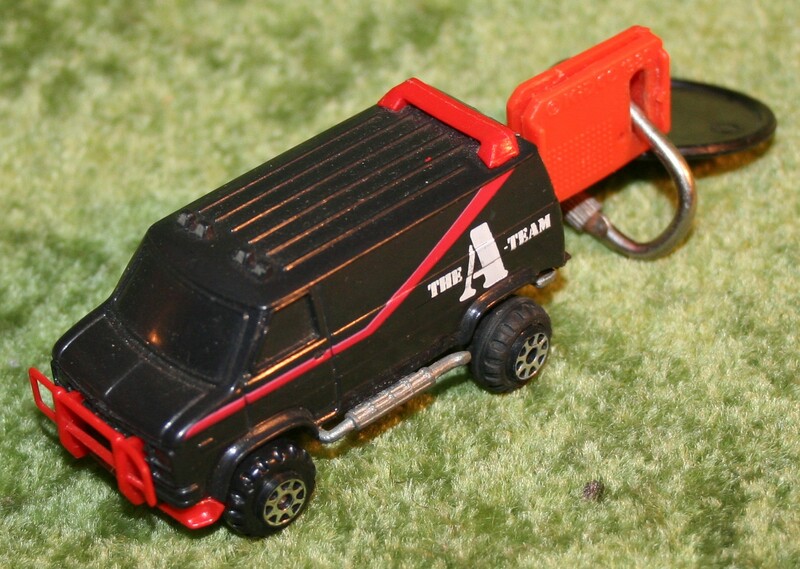 Cast included George Peppard, Dirk Benedict, Dwight Schultz, Mr. T, Melinda Culea, Marla Heasley, Eddie Velez,Robert Vaughn.